• Reminders: At the Portland Art Museum and Oregon Jewish Museum and Center for Holocaust Education, there are striking exhibitions that feature World War II photos from the Lodz Ghetto in Poland by Henryk Ross, through Feb. 24. For more: www.portlandartmuseum.org. ... At the Oregon Historical Society, 1200 S.W. Park Ave., it's "Portland Psychedelic: Music and Culture in the Rose City and Beyond, 1966-1972," Peter Glazer's rock and roll memorabilia collection, through March 17. For more: www.ohs.org. • Blackfish Gallery, 420 N.W. Ninth Ave., presents David Selleck's "Catch You on the Flip Side," a Miro-esque use of line and space and displaying his affection for certain animals (dogs, fish, monkeys) that add a deceptive whimsy to his raw, unflinching eye for politics and human foibles. He shows through March 2. For more: www.blackfish.com. • There's a group exhibition, "Meet the Makers," at Waterstone Gallery, 124 N.W. Ninth Ave., featuring artists who work in glass, wood, paint and sculpture, through March 3. There'll be artist demonstrations Feb. 17. For more: www.waterstonegallery.com. • Portland'5 presents an artist exhibit by the group Who I Am: Celebrating Me, opening at 5 p.m. First Thursday at the Winningstad Theatre, 1111 S.W. Broadway. It explores the African diaspora, black migrations and relationships. Artists include Portland students. For more: www.portland5.com. • At Russo Lee Gallery, 805 N.W. 21st Ave., it's works by Lucinda Parker ("Snow and Ice: Coin of the Realm") and Amory Abbott ("Anthelion"), as well as a continuing exhibition by Manu Torres. An opening reception is at 5 p.m. First Thursday, and they show through March 2. Parker gives an artist talk at 11 a.m. Feb. 16. For more: www.russoleegallery.com. • Architectural designer and artist John David Forsgren's "Antithesis of Language" shows at Elizabeth Leach Gallery, 417 N.W. Ninth Ave., from First Thursday through March 30. It's his Liz Leach gallery debut, and he works with India ink on canvas to create structured compositions that look like leaves, veins or an aerial landscape. Julia Mangold's work also is on display at the gallery. For more: www.elizabethleach.com. 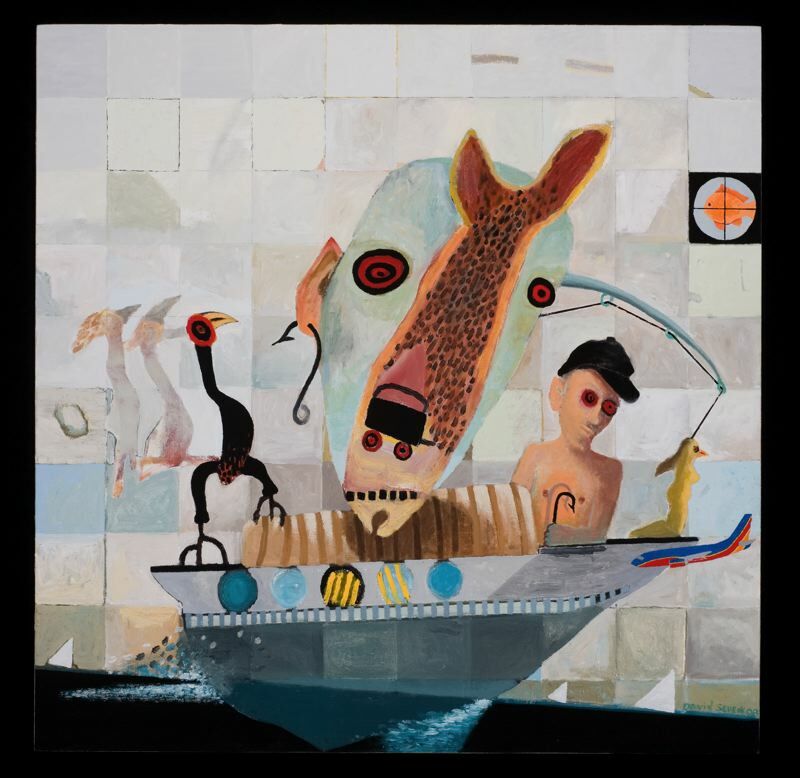 • The Portland Art Museum exhibit 'the map is not the territory' features regional artists exploring place and boundaries; it's the first of three exhibits and focuses on the eastern edge of the Pacific Ocean from Oregon to Washington. It shows Feb. 9-May 5 at Portland Art Museum, 1219 S.W. Park Ave. Artists reconceive and reimagine the Northwest; what does it mean to make art in the region today, and what are the inspirations and pressing concerns for artists? The artists are Annette Bellamy, Fernanda D'Agostino, Jenny Irene Miller, Mary Ann Peters, Ryan Pierce, Rob Rhee, Henry Tsang and Charlene Vickers. • Reminder: Portland Art Museum, 1219 S.W. Park Ave., offers free admission on First Thursday, 5 to 8 p.m., www.portlandartmuseum.org. • For information on galleries: First Thursday, www.firstthursdayportland.com; Portland Art Dealers Association, www.padaoregon.org.